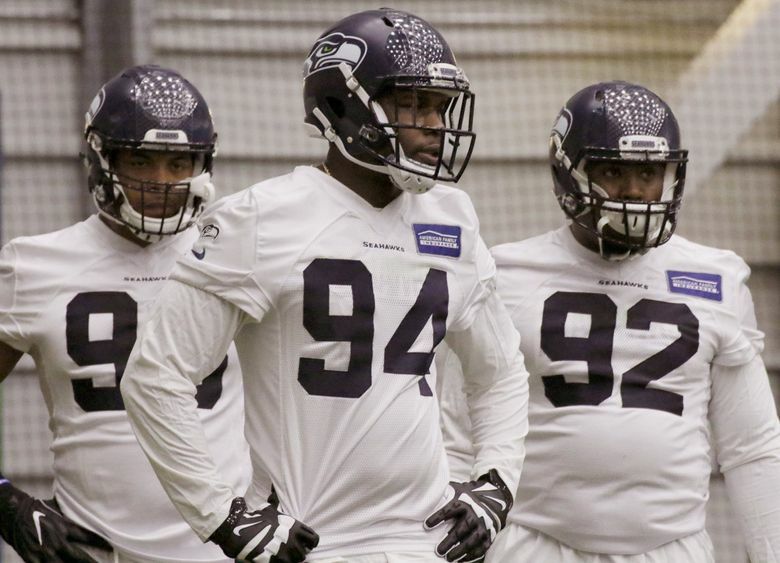 PHOENIX — A little more clarity was given Monday at the NFL league meetings to one of the more mysterious situations in Seahawks history — defensive lineman Malik McDowell’s health and status — in agent Drew Rosenhaus’ first on-the-record comments on the matter. The team’s first pick in the 2017 draft, McDowell was waived as injured March 2 because of injuries suffered in an ATV accident in July 2017. When he went unclaimed, McDowell became a free agent, his career with the Seahawks over before he played a pro game. After being injured, McDowell was placed on the non-football injury list and never practiced for Seattle again after having taken part in the offseason program in the spring of 2017. He was waived as injured before the 2018 season but at that time when he went unclaimed, he reverted to Seattle’s injured-reserve list. This year, he simply became a free agent. Rosenhaus said the Seahawks gave McDowell numerous examinations, but felt McDowell would not be healthy enough to continue playing football. Rosenhaus said independent doctors think McDowell can play, which is why McDowell last week visited the Dallas Cowboys. The Cowboys are thought to be continuing to assess McDowell’s health but have yet to clear him to play, and Rosenhaus said he hopes Dallas will sign McDowell. But if not, he said McDowell will visit other teams with the goal of resuming his career — he has not played since the 2016 college season at Michigan State. Asked to clarify his comment it was “a brain injury” that was the issue, Rosenhaus said, “Exactly. Head injury, without getting into too many specifics. But we are confident he is going to be back and playing this year. McDowell had two years remaining on his Seahawks contract when he was waived. Asked if the Seahawks considered hanging on to McDowell to see if he could eventually get medically cleared during those two years, Rosenhaus said the Seahawks just didn’t feel “comfortable” he would be able to play anytime soon. McDowell signed a four-year contract with the Seahawks in 2017, the standard deal as outlined in the league’s collective-bargaining agreement for being taken 35th overall, worth up to $6.95 million. The contract included a $3.1 million signing bonus. Waiving McDowell got the Seahawks out of paying the final two years of his salary, but since McDowell was on the non-football injury list, they did not have to pay the full salary his first two seasons — he was reported to have made $85,000 in 2017 out of his $465,000 base salary. He reportedly made the full $781,155 last season after reverting to injured reserve. Spotrac.com estimated the Seahawks paid McDowell slightly more than $4 million of the $6.95 million total. The team will take a $1.59 million salary-cap hit in dead money but no obligation in 2020, via OvertheCap.com. Seattle traded down from the 26th pick in the 2017 draft to 35 to take McDowell and used the four picks it assembled in those three trades to draft safeties Tedric Thompson, Delano Hill and Mike Tyson and running back Chris Carson. McDowell will be the highest-drafted player in Seahawks history to never play for the team. Seahawks coach Pete Carroll called McDowell’s injury “a really bad concussion” in the fall of 2017, the most specific the team ever got about McDowell’s situation — the team cited privacy laws, as well as the potential for arbitration/legal matters, for not talking about it more in depth. But Rosenhaus’ comments confirm it was a head/concussion issue preventing McDowell from being able to play.